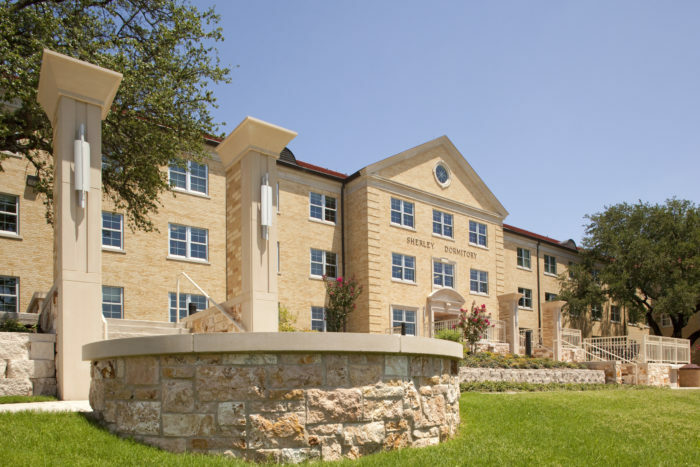 Opened in 1958, Sherley Hall was built as an all-female dormitory on the campus of Texas Christian University. As their student housing needs evolved over the years, TCU initiated a multiyear, multi-building renovation program to modernize their facilities and focus on the university’s long-term commitment to sustainability. 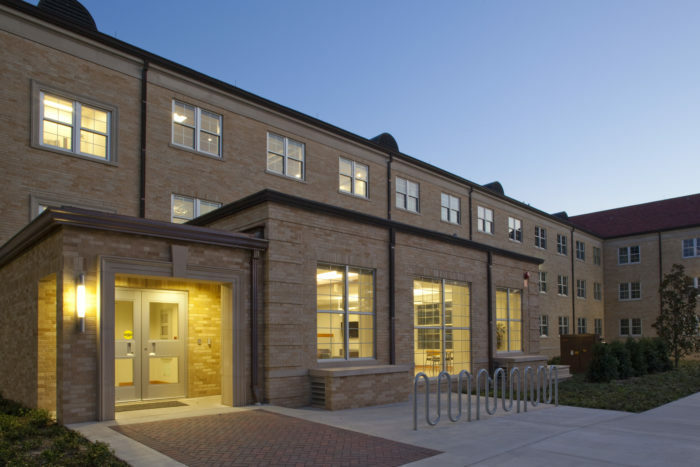 The 2009 renovation of Sherley Hall converted the facility into a co-ed facility able to house 314 first year students. 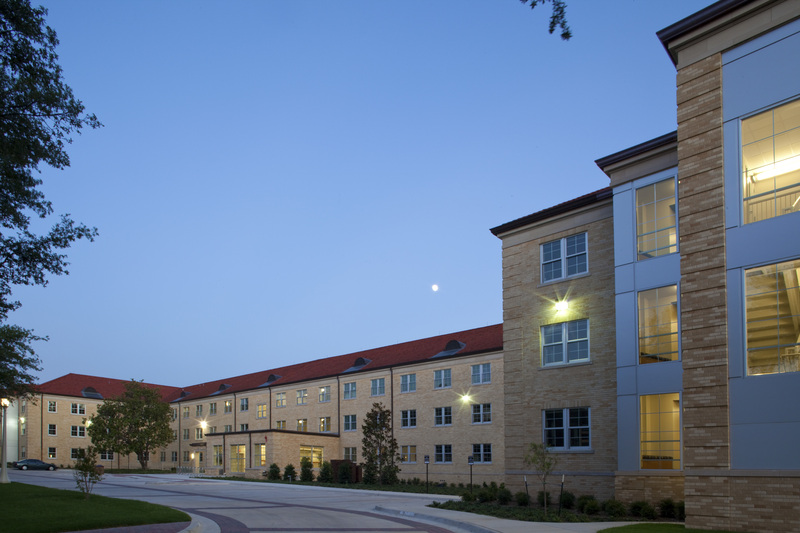 Men and women residents are divided by wings over three floors with a central common area on each floor. 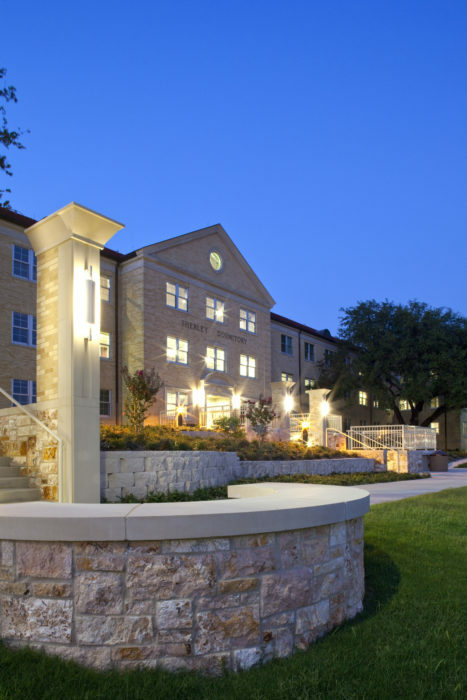 Additional amenities include new study areas, a new front lobby and lounge areas with large LCD TV screens. Students also enjoy 36-seat mini-theater with 10-foot screen and surround sound. 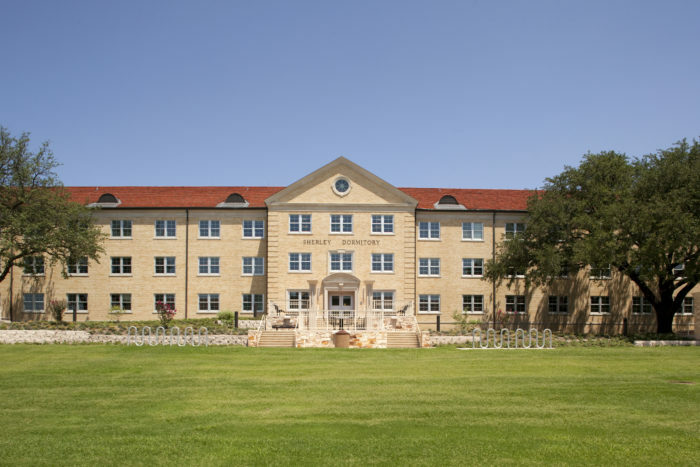 Sherley Hall was the first building on the TCU campus to receive a LEED Gold certification from the US Green Building Council.